Snapchat said it’s testing what could be its biggest product overhaul to date — a redesigned app that’s meant to be easier to use. CEO Evan Spiegel announced the plans in Snapchat’s third-quarter earnings report, which showed slower user growth than expected. 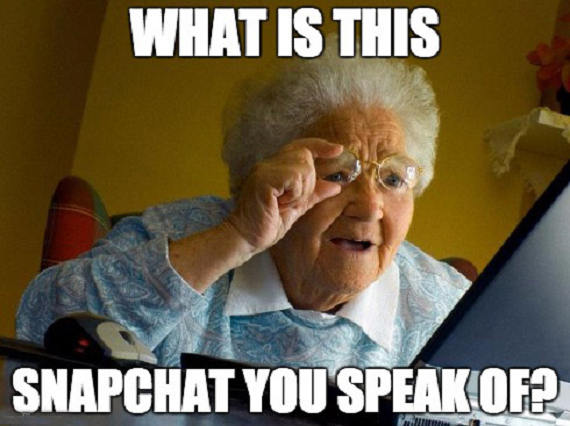 Snapchat’s user base grew only 3% last quarter to 178 million daily active users. What that redesign will look like remains to be seen, but it’s clear the company feels it needs to do something substantial to grow its user base, and that means bringing in new users outside its young cohort. 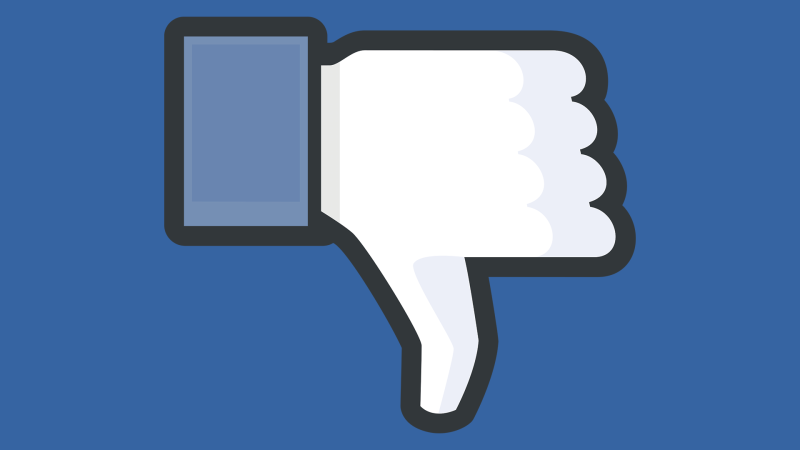 Last week, Facebook said it informed advertisers that it discovered two new measurement errors involving mobile videos, including video ads, that played while out of view and resulted in Facebook incorrectly charging advertisers, according to Marketingland. These errors are said to be significantly smaller than others discovered by Facebook in recent months, and they’re not alone: Google and Twitter have also made measurement errors recently, leading to them overcharging advertisers as well. While these issues get fixed upon discovery, it’s an issue because the more these platforms make measurement errors, the more likely it is that advertisers’ skepticism of the automated digital ecosystem will continue to grow, potentially affecting how they allocate their budgets. For its part, Facebook is taking steps to ensure these things happen less. It opened its ad metrics to an audit by the Media Rating Council. It also expanded the number of third-party companies that can verify its ad measurements. But while third-party verification can help build trust, advertisers still want to be able to trust the platforms’ first-party measurement tools. For a very detailed look at the Facebook measurement issues that have happened in the last year, see Marketingland’s itemized list. Learning the ins and outs of e-commerce advertising platforms and building e-commerce-specific messaging and media strategies is necessary for all brands. Brands who move first will have a leg up in reaching a hugely valuable group of consumers. Below are some highlights from the ten-page report, which can be found in full here. Amazon stays on top: According to eMarketer’s projections (and anyone with a pair of eyeballs), Amazon remains the undisputed e-commerce leader. Responsible for 3.06% of total retail sales–ecommerce or otherwise–Amazon projects to hold almost 4% of these transactions in 2017. That’s almost 6.5 times more than eBay, Amazon’s closest competitor in the e-commerce space. Marketers will need to recognize the importance of and build a strategy for advertising across Amazon’s various platforms. Mergers and acquisitions: In order to compete with Amazon, many of its competitors turned to acquiring or partnering with startups and established retailers. After purchasing Jet.com in September 2016, Walmart expanded its digital expertise this year with the acquisition of Modcloth, Moosejaw, and Bonobos in 2017. Room for growth: The top 10 U.S. e-commerce companies represent less than 6% of the total retail market, leaving significant room for growth as more retail categories move online. It’s not easy selling a 22-year-old car with 141,000 miles on it. 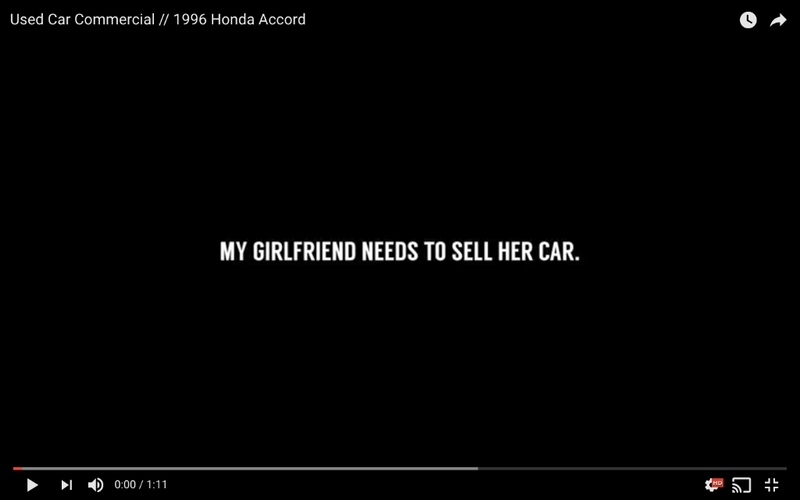 Max Lanman, who wanted to help his girlfriend Carrie sell her ’96 Honda Accord, knew he could create a simple post on Craigslist and get a meager price for it. But he figured he might be able to fetch more money by harnessing the power of a viral video. With the help of some friends and neighbors, he spent a few weeks creating a commercial and then posted it on Reddit. It went viral, garnering more than 4 million organic views in one week. The car was listed on eBay and the bidding got up to a lofty $150,000. Alas, it was too good to be true: eBay saw the price of the item and took the listing down. He reposted the car on eBay a second time, only to have it taken down again. Don’t feel too bad for Lanman, though. CarMax created a video offering him $20,000 for the car. Also in exchange for that $20,000, CarMax wants some of the items featured in the video, such as the jacket Carrie wore, a partially eaten sandwich, the Mexico mug (non-negotiable), and…her cat. You can watch that video here.